My daughters-in-law are amazing hostesses! And that’s not easy when your mother and father-in-law can visit for a week at a time. A day or two – anyone can handle, but a week – well, that requires a concerted effort. Both Jenny and Nikki make the effort! feel welcomed. In the kitchen, there’s plenty of coffee, the pantry is stocked with our favorite snack items and breakfast food, and the fridge is full. In the living room we have access to their wi-fi password, the TV remote, their books and magazines and we know it’s OK to put our feet on the coffee table. We feel right at home in the public rooms of their homes, and they also make sure we are comfortable in the private rooms. In the bedroom, there are comfortable pillows, clean sheets, extra blankets, and empty hangers in the closet. 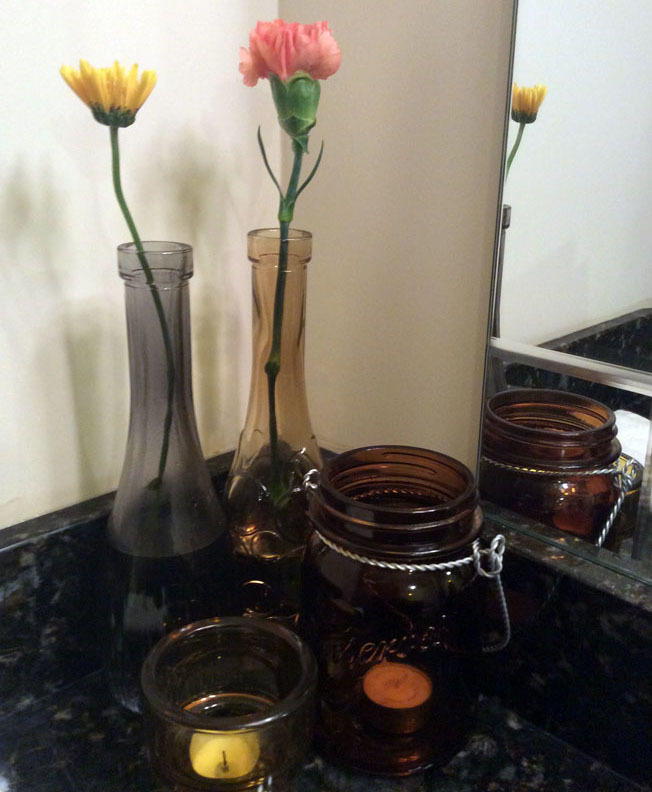 And what bathroom doesn’t have candles and fresh flowers? These precious young women have mastered the balance of treating family like guests and guests like family. It is not either/or, it is both. Perhaps this is the way Jesus wants to be treated. When Jesus knocks at the door of our hearts, I think He wants to be invited in as a guest, but also as one who is a member of the family. We should honor, respect, and serve Jesus as a revered guest; but we should also allow Him to move freely throughout both the public and the private rooms of our lives. Jesus promises that when we open the door of our hearts and lives to Him, He will come in and eat with us. He will not just stand inside the door; Jesus will come in and be a part of our lives. There are areas of my kids’ homes that I wouldn’t go into without first asking. I wouldn’t go into their bathroom, closet or bedroom without permission – that’s their private space. But if there’s a need, and I ask, they always let me. They’ve never made me feel like an intruder. Jesus wants to make a home with you, not just visit you. My daughters-in-law have made wonderfully comfortable homes with our sons. Jesus is more than a guest in their homes; He is “at home” there. Perhaps that’s why their homes are so very welcoming to their guests and their family. How welcomed is Jesus into your life? Does He feel at home with you? Are there rooms in your life where Jesus might feel like an intruder? Are there areas that you’ve denied access? Is Jesus a guest in your life? Or is He family? How would Jesus answer that? I feel in all honesty, Jesus if welcome on all the good days. I need to work on the days I struggle. Bev, we all do! Thankfully, God convicts us of our sin, then empowers us to overcome! Let’s hope they stock plenty of licorice and gizzards for their father in law! Hahahahaha! You’re right about that!